The casserole dish represents compassion in some circles. It says we know things are hard, eat something. One of the most important things I did as a pastor was to call Marilyn who would make sure the church gave casseroles to families going through difficult times. We show our love for our neighbors when we feed them. When I learned of an upcoming surgery or birth, I called Marilyn. She knew who had the time to whip up a hot dish that night. The church is blessed with deep apron pockets of casserole-making spiritual gifts. But what Marilyn didn’t know was that I never called her when the hospitalization involved a psych hospital. These hard times in the church were not spoken about, allowing no opportunity for comforting casseroles stuffed with Jesus’ love. Why is it that when the heart is diseased we send a casserole, but when the brain is diseased we send silence? In my book I tell the story about my family’s decades of silence about mental illness. It was not polite to talk about crazy things in church. So I didn’t. Until now. So what is the casserole? I’m sorry you are so sick. This made his wife feel like never coming back to church. So what casserole do we give to people who have mental illness as a way to express compassion and comfort? Is it okay to make casseroles for people who are coming home from the psychiatric hospital? There is something wrong with our hesitation in this matter. I think it’s because of our discomfort in talking about mental illness. Often the church does not feel like a safe space to talk about difficult things. We do not send crazy casseroles because we do not know how to even begin asking for them. There is this fear that if knowledge of a church member’s psychiatric hospitalization became known, then her reputation and leadership role in the church would be called into question. David left that church because it was not a safe place for his wife. He didn’t have the energy to manage all the questions, comments and criticisms about his wife’s mental illness. She didn’t have the energy or desire to go to a church and be judged. He’s now serving a church that is supportive and understanding about her brain disease. The church leaders know David and his wife go to marriage counseling every Friday. It is not a secret. Having a mental disorder doesn’t have to be a secret. According to NAMI (National Alliance for Mental Illness) one out of four people in the general population has a diagnosable mental illness. If we are going to get serious about breaking the silence about mental illness, then we better get some casserole dishes ready. As Christians we are called to respond to all God’s people with compassion, offering homemade love served up in a deep dish and on the front doorstep. It seems we are charting some of the same territory — with faith and mental illness. Your book intrigues me a great deal. 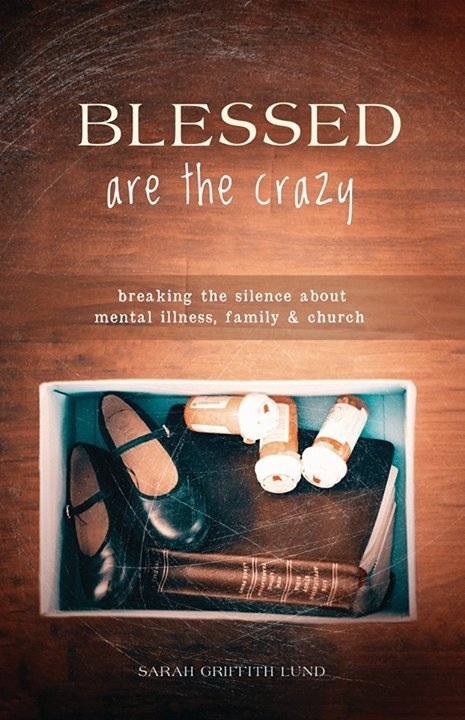 I just came out with a memoir entitled, “Delight in Disorder: Ministry, Madness, Mission” about my journey of faith as a pastor living with bipolar disorder. I would very much like to propose a book swap in exchange for honest reviews. E-mail me if you would be interested.